The sizzle of the grill… the crack of a can’s pull tab… fireworks popping at random all around… the Fourth of July is right around the corner. And in coincidence with one of the best days of the year for drinking beer, we’re releasing a new series of beers this weekend, called Spice of Life. It’s not hot sauce we’re talking about with this line of monthly, small-batch beers — it’s hops! The Spice of Life series will highlight the variety and pungency of beer’s signature spice, one at a time. The first in the series — available this Fourth of July weekend at franny’s and Barcade (Jersey City) — will feature Chinook hops. It’s a secret weapon we’ve come to love in making some of our beers, but isolated from other types of hops, you’ll get to know its nuances all the more. Future Spice of Life beers will hone in on Cascade, Centennial, Warrior, Simcoe, and many more, enough to fill kegs with each month of the following year. The base pale ale recipe for each of these beers will remain the same, so get ready to sharpen your palates on these different hops. 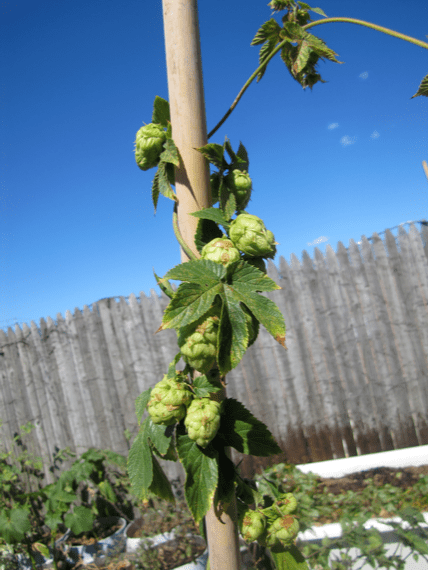 We’ve been known to grow a few different hop varietals on our rooftop, ever since last spring. But this year marks a thorough exploration of their flavors, month after month. See what’s in store for August, and beyond!